I shared in this post (and the comments) that moisturizing has been studied to have a protective effect over eczema. Similarly, Dr Cheryl Lee MD shared in the Skin pH interview series that moisturizing from 3 weeks of age has been shown by Simpson et. al., to be a safe and effective time to start moisturizing the skin of a newborn who is at high risk of developing atopic dermatitis. Title of study: Skin barrier dysfunction measured by transepidermal water loss (TEWL) at 2 days and 2 months predates and predicts atopic dermatitis at 1 year. Method: Measure water evaporation in the skin of 1,903 newborn babies in Cork University Hospital, and followed them up until 12 months of age. How: Small probe placed on the child’s arm to measure the level of water evaporation at day 2 and 2-month & 6-month old. 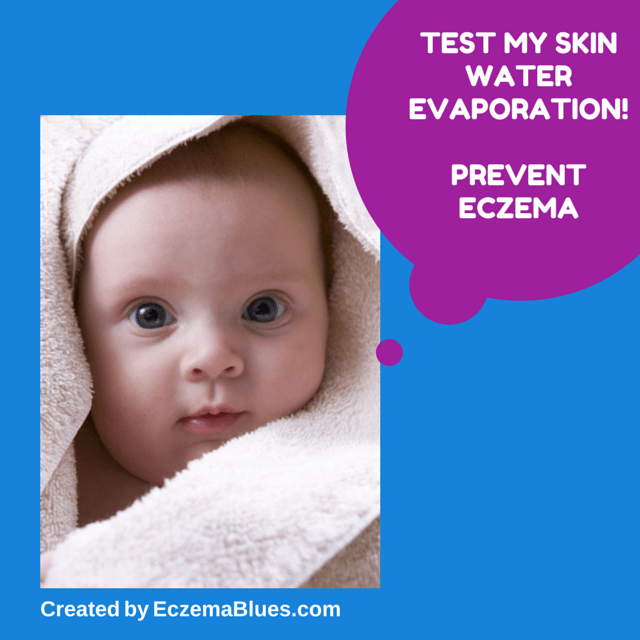 Results: A higher water loss at 2-day and 2 month strongly predict eczema at 12 months. There are also other risk factors, such as family history and whether there is a low level of the filaggrin gene. Similarly to what I have posted before on the outside-in hypothesis, Prof Hourihane said that prevention of eczema may also prevent the development of asthma and food allergy, which are strongly associated with eczema, because the allergens get through the broken skin and cause the development of allergies. This view is also shared in Dr Cheryl Lee’s interview here. This study is only published in 22 Jan 2015, I’m interested to see if this test will be adopted by pediatricians. Maybe you can bring this up to your doctor to see if such a test can be arranged for your newborn! If you did talk to your doctor, let me know the response so that other parents can benefit from it. Ask #SkinishMom – How to Date without Babysitter for Eczema Kid?